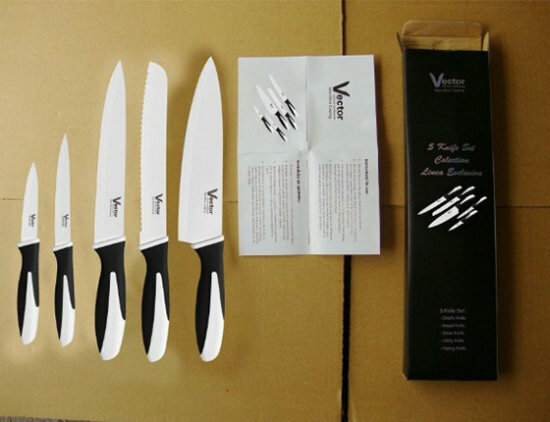 Home Products OUTLET VECTOR, inox knife set 5 pcs. 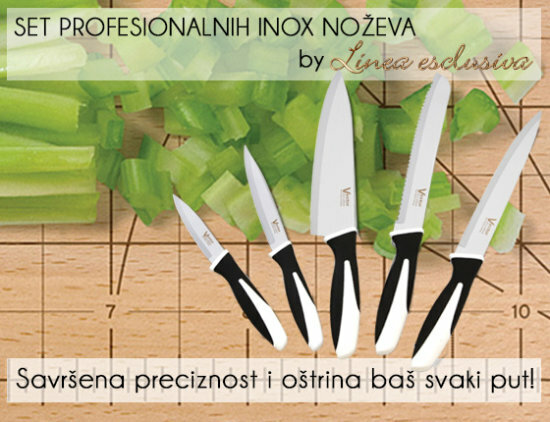 Order set of professional knives for cutting meat, fish, vegetables, fruits and even frosted food! 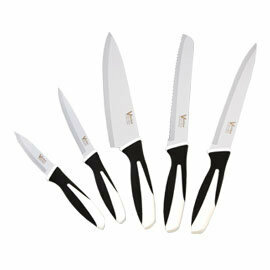 Stout blade is easy to maintain and does not lose sharpness. The handles are anatomically designed which makes usege light and pleasant. Practical use - easy maintenance - flawless precision! Enjoy preparing food like top chefs!